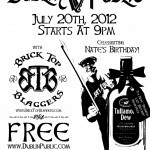 Nate’s Birthday Show! Lets Get Pissed!!! The infamous gob that just won’t shut, the member with the biggest wood between his legs, the man of the month, our bass player Nate Morefield will celebrate his birthday this July 20th. 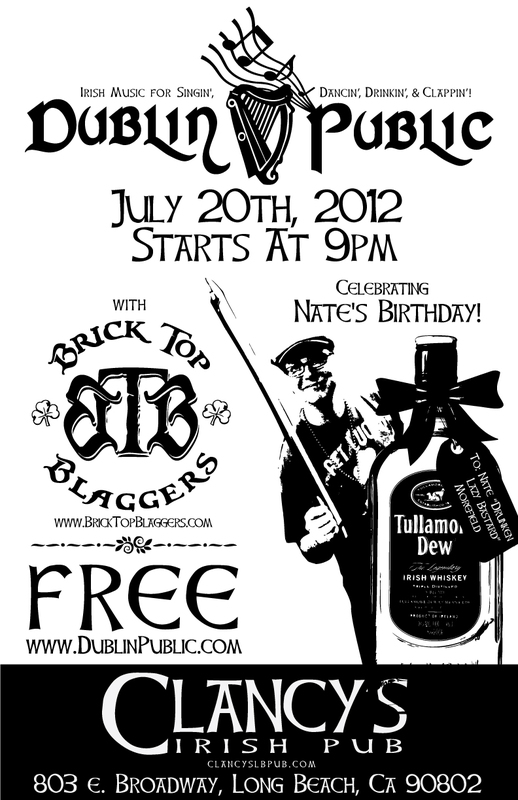 In honor we have set up a super special show right here in Long Beach at Clancy’s Irish Pub! We invited our good friends the Brick Top Blaggers to join us for the festivities and share their musical prowess with you all, and of course this is all FREE! We open the show at 9pm and play just one long 1:30 minute set so we can get Nate, and ourselves who’s kidding right?, pissed to the wind!